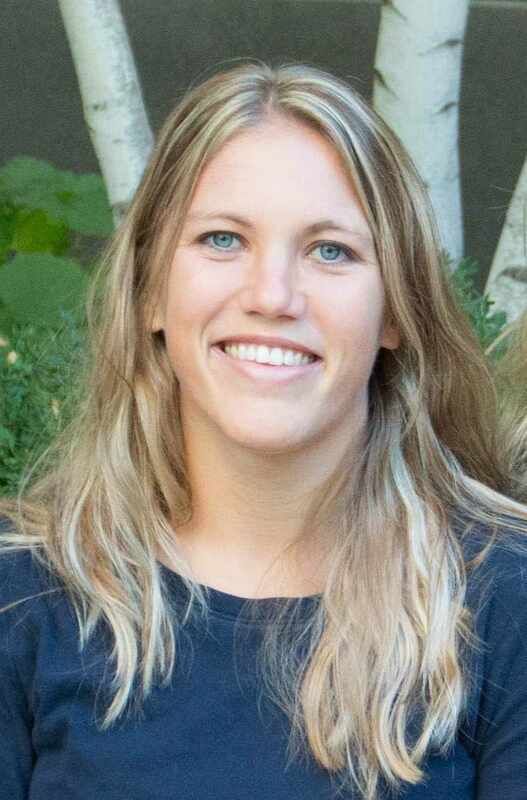 Hi, I'm Dani, one of the Membership & Media Coordinators (MMC) here at the DAHLC. I want to share my journey through our wellness evaluation service with you to help members better understand the service and see how valuable it truly is. For me personally, I scheduled a wellness evaluation to get a baseline of where I am at right now in my life and to ultimately create goals for myself to sustain a healthy life as I age. There are other reasons to schedule the service, maybe you want to track your progress or be recommended for other offerings that are available to you as a member. First, this is a clinical appointment. It is completely private between you and the Health & Wellness Coach providing the service. 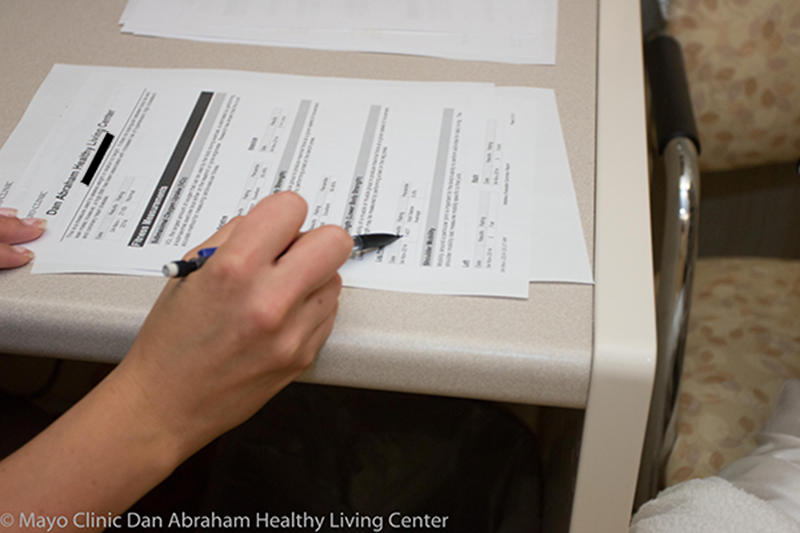 Once you schedule a wellness evaluation, you will be sent a health assessment survey via email. This is to be completed prior to your appointment date. On the day of your appointment, you will wear workout attire as you will be performing various exercises and movements to track your numbers. 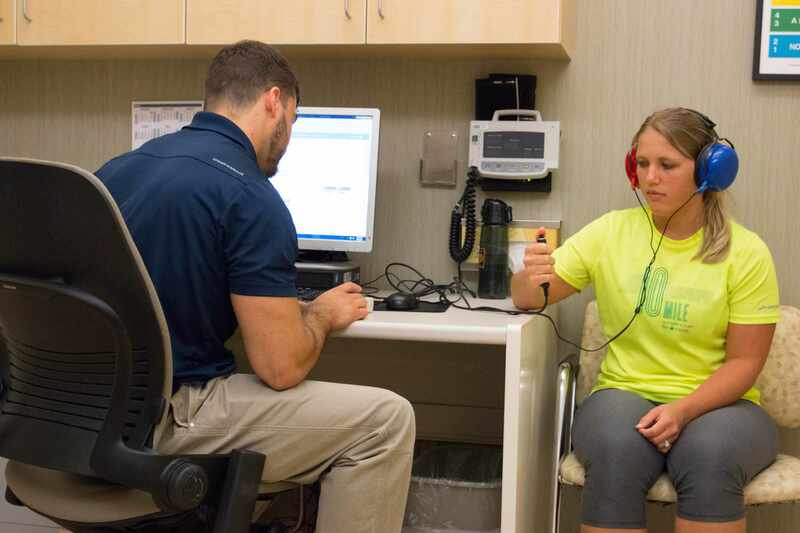 Once you enter the evaluation suite, your coach will obtain some baseline measurements including height, weight, blood pressure and heart rate. Additionally, the coach will screen your hearing. 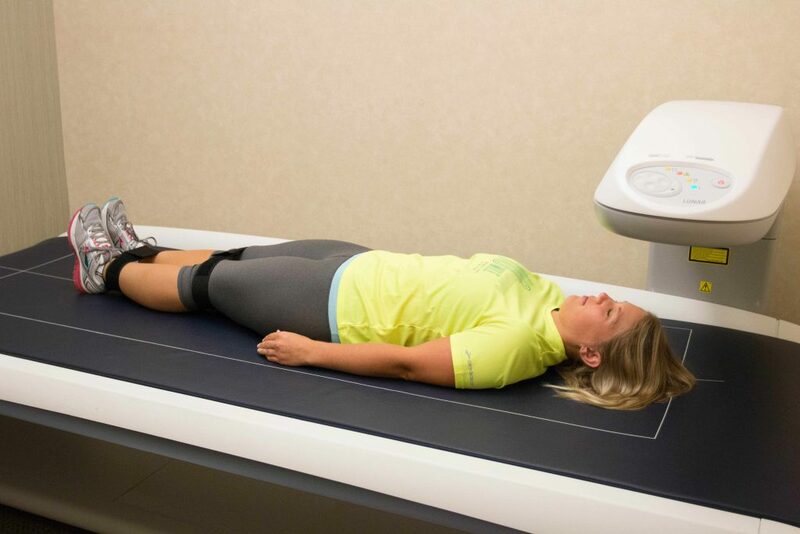 After getting the baseline measurements, you will move into another room to do the iDEXA scan. For the iDEXA scan, you will lay still while it scans your body. This will give the coach a print out of your body composition; how much muscle and fat make up your body. I know, this was the part I was most worried about. But, just remember: this is you, it's your body and this short test is educating you about it. And, it is completely worth it. After the iDEXA scan, you will do a submax VO2 test that will measure your aerobic fitness. You will wear a mask that measures your breathing. 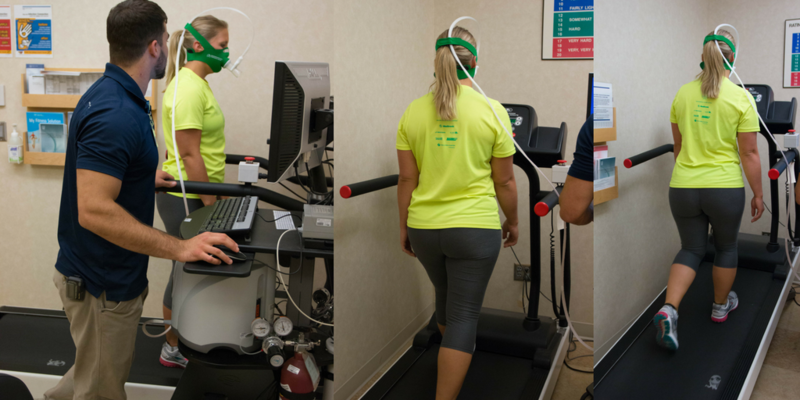 You will walk on a treadmill and will communicate with your coach throughout the test about your intensity level. You will start out slowly and work your way to a more challenging intensity. Remember to push yourself on this one so you can get the most accurate results. 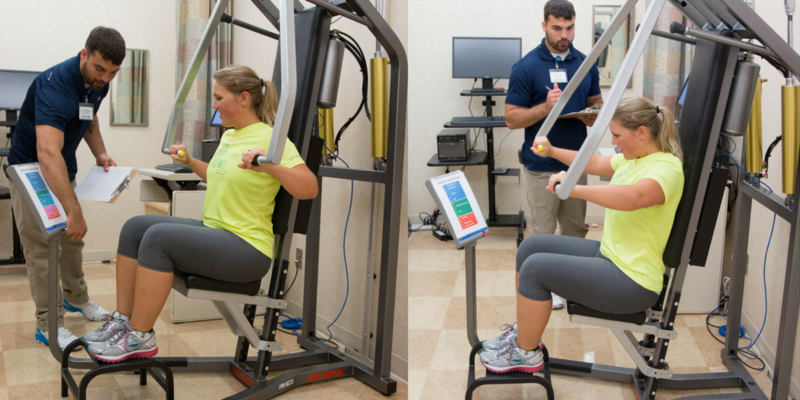 After completing the submax VO2 test, you will complete an upper and lower body strength and power test using chest press and leg press machines. The purpose of these tests are to determine how much weight you can lift at one time and how quickly you can move a specified amount of weight (power). Finally, you will do a shoulder and hip mobility assessment and a core endurance test (photos from a different wellness evaluation). Then, when the service is complete, you will sit down with the coach and they will share the results with you. After all information has been shared, you will work with the coach to discuss next steps and help you figure out what is best for you based on your future wellness goals. This could lead into an Exercise Prescription, Group Training, Wellness Consultation or whatever action item you would like to see based on your test results. You may just want to take it home and think about the options you and your coach discussed. And there you have it; that is a journey through our wellness evaluation service. While some things may seem intimidating, just remember this service is to educate you in order to prepare for a better future. After all, it's your body, you should know more about it! If you are interested in signing up for a wellness evaluation, please call 507-266-4688 or stop by the front desk.